Lands' End Partners with the National Summer Learning Association to Further Its Commitment to Families and Education | Lands' End, Inc.
BALTIMORE, June 22, 2018 /PRNewswire/ -- Lands' End (NASDAQ: LE) is reaffirming its commitment to education for all children, particularly the most vulnerable, by partnering with the National Summer Learning Association (NSLA) on a year-long initiative to promote the importance of quality summer learning opportunities for every child, every summer. Through the Love Learning campaign, Lands' End is leveraging NSLA's vast network of experiential summer programs to shine a spotlight specifically on quality programs that bring learning to life in informal learning spaces and support families in meaningful ways. Particular focus will be given to summer programs that focus on environmental stewardship, STEM/STEAM (science, technology, engineering, math, arts) as candidates for the First Annual Lands' End Love Learning Award. The winning program will receive a $10,000 award and national recognition. The award recipient of the prestigious Lands' End Love Learning Award will be a well-rounded educational program with a dynamic vision. Award criteria details and submissions will be open from July 1 through November 30, 2018. Entries can be submitted at summerlearning.org beginning July 1. The Love Learning campaign will also include the Lands' End Love Learning Art Contest, which kicks off with entries from July 12th to August 12th, 2018. Winners will be announced on August 31, 2018. Lands' End encourages partners and program participants to create an art activity and submit artwork from kids at landsend.com/lovelearning starting July 12, 2018. July 12th is National Summer Learning Day, an advocacy day created and championed by the National Summer Learning Association aimed at elevating the importance of keeping all kids academically engaged during June, July and August while promoting affordable, quality summer enrichment options for families. "We are thrilled to partner with Lands' End, an All-American lifestyle brand committed to improving the future of America's youth through educational investment," said Matthew Boulay PhD, NSLA Founder and CEO. "We especially look forward to seeing the creativity and spirit of kids from across the country." "At Lands' End, we are very excited to support the National Summer Learning Association's efforts to engage young minds and broaden year-round learning activities," said Jerome Griffith, Chief Executive Officer and President at Lands' End. "We encourage parents and their children to embrace learning opportunities and pursue their interests through programs such as Love Learning." Lands' End and the National Summer Learning Association truly look forward to kicking off the summer by helping children and families grow their love of learning and expand their horizons. The National Summer Learning Association (NSLA) is the only national nonprofit exclusively focused on closing the achievement gap by increasing access to high-quality summer learning opportunities. 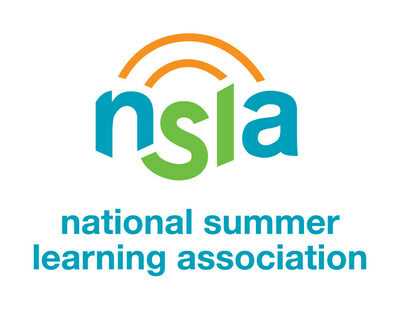 NSLA recognizes and disseminates what works in summer learning, develops and delivers capacity-building offerings and convenes and empowers key actors to embrace summer learning as a solution for equity and excellence in education. For more information, visit www.summerlearning.org. Lands' End, Inc. (NASDAQ: LE) is a leading multi-channel retailer of clothing, accessories, footwear and home products. We offer products through catalogs, online at http://www.landsend.com/ and affiliated specialty and international websites, and through retail locations. We are a classic American lifestyle brand with a passion for quality, legendary service and real value, and seek to deliver timeless style for men, women, kids and the home.